Placemaking is essential to the mission and vision of 40 West Arts District. Placemaking transforms the surrounding physical landscape, increases community pride, builds a sense of place and creates visual markers for visitors and residents alike. 40 West Arts is thankful to partner with our many collaborators on signage, wayfinding and branding including the City of Lakewood, Lakewood West Colfax Business Improvement District, West Colfax Community Association, Lamar Station Plaza, Metro West Housing Solutions and others. Look for the 40 West Arts brand anytime you’re in the district. Public art is essential to our placemaking approach. Through our public and private partnerships, our collaborations with local businesses and our many programs including COLorFAX, Colfax ArtFest, the 40 West ArtLine and others we strive to add pop, color and creativity to the Lakewood West Colfax corridor through public art. The 40 West ArtLine is more than a free outdoor art gallery. 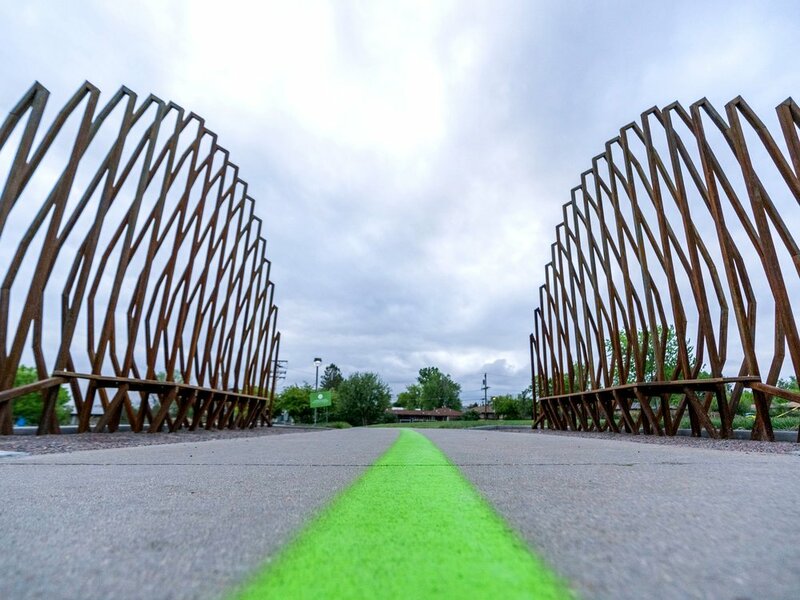 This expansive project adds extensively to a sense of place in Northeast Lakewood through its 70+ art installations, wayfinding Art Totems, ground murals, branded ‘Kaleidoscope Crossings’ and the painted green line that runs through it all.